The U.S. Geological Survey is also seeking $2.2 million to store and distribute Landsat-like data it will be getting from Europe's Sentinel-2 satellites. WASHINGTON — The Obama administration is proposing to accelerate efforts to build the Landsat 9 satellite and launch it in 2021 instead of 2023 as currently planned. Under the 2017 budget blueprint the White House delivered to Congress Feb. 9, NASA and the U.S. Geological Survey, the two agencies that share responsibility for the Landsat program, each would receive funding to speed up construction of the satellite and its ground system, a move recommended by Landsat supporters eager to ensure that two moderate-resolution Earth imaging satellites remain in orbit. 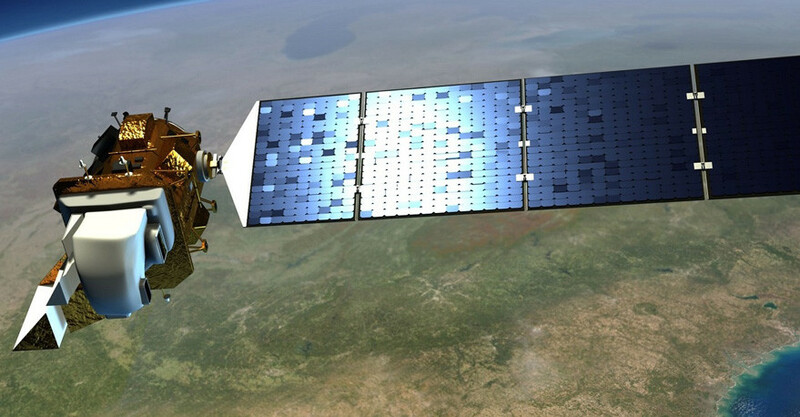 Currently, researchers obtain data from Landsat 8 launched in 2013 and Landsat 7, launched in 1999. Each of the satellites gathers imagery of the majority of Earth’s land mass once every 16 days, but their orbits are complementary, giving researchers data every eight days. If Landsat 7 fails before Landsat 9 is operational, researchers will lose those frequent observations. That prospect looks increasingly likely since Landsat 7 is expected to run out of fuel sometime in the next two or three years. What’s more, Landsat eight was designed to last five years and its Thermal Infrared Sensor was built to operate for three years. The USGS — part of the U.S. Department of the Interior — is asking Congress for $73 million for its 2017 Landsat efforts, a $15.4 million increase aimed at accelerating the Landsat 9 ground station work. NASA is seeking $130 million, up from the $60 million it spent on Landsat in 2015. The USGS budget also includes $2.2 million to acquire, store and distribute data from the European Commission’s two Sentinel-2 Earth-observation satellites, the first of which launched last June. The second Sentinel-2 satellite is slated to launch later this year. The USGS also wants to spend an additional $3.0 million to provide new Landsat date tools for land managers and the public. “By accelerating the development of a set of Landsat-based science products that will improve applications used by natural resource managers, Interior will provide an authoritative basis for regional to continental-scale identification of change, monitoring of current conditions, and predicting future scenarios.